T3/T4E, 50Trim Compressor, StageIIITurbine (450HP). Turbocharger - Garrett T3/T4E, 50 trim compressor with StageIII (76 trim) turbine wheel, Oil cooled only, no water lines required. The usual favorite T3/T4 turbo and very common use hybrid turbo used on variety of engines for best overal response and supports power to 450 crank HP. 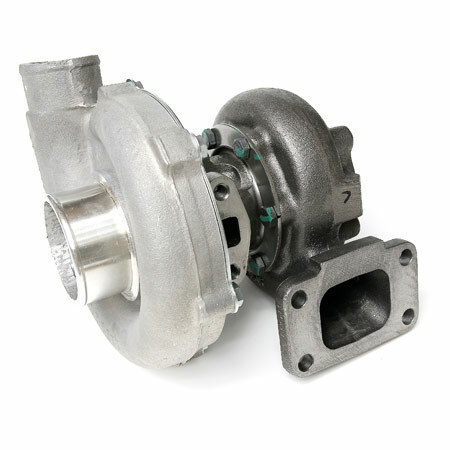 Garrett factory assembled and balanced turbo for OEM reliability. ***Default exhaust housing is T3 inlet with 4 bolt (T31) outlet, but many optional turbine housings available in various A/R's!